Welcome! If you're here, that means you need help with personal branding on social media. The Internet has been a tool for connecting with others since its inception. In 1995, classmates.com was the first site to match today's definition of social networking, paving the way for thousands of sites to follow ("The History," 2014). Today, social media is more popular than ever and an integral part of people's everyday lives. In fact, people spend more time on social media sites than any other type of website – more than 121 billion minutes last year, to be exact (State of the Media, 2012). 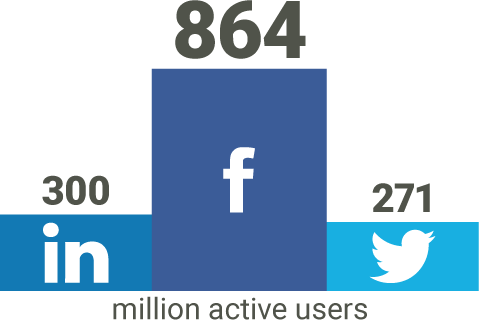 Facebook triumphs as the most popular social media site with 864 million daily active users ("Facebook Reports," 2014). Two social network runner-ups are LinkedIn, a social networking site targeted for the job market with 300 million active users ("LinkedIn Announces," 2014), and Twitter, a forum for sharing short, 140-character messages with 271 million monthly active users ("Learn Twitter," 2014). 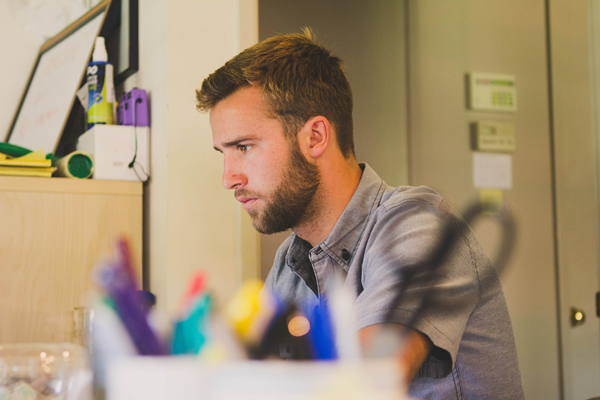 As these sites continue to become increasingly popular, it is necessary for job seekers to examine how their online presence can help – or hurt – their chances of employment. In addition to being used to connect with others, the Internet is often used as a source of information. People rely on the Internet to tell them about everything from products to places. Likewise, human resource officers and hiring managers are using the Internet to discover more information about potential employees. One study indicates that 90 percent of human resource officers look for social media profiles when investigating job candidates, and almost 50 percent of them have refused a candidate based on what they found ("U.S. College," 2012). The study also reports that the majority of people aged 18-25 have never inspected their own online profiles ("U.S. College," 2012). This is remarkable, considering that 71 percent of Internet users older than 18 have a Facebook account (Duggan, Ellison, Lampe, Lenhart, & Madden, 2015). The lack of inspection, however, isn't due to a shortage of time for perusing the sites. PC users spend 17 percent of their time on Facebook alone, and that doesn't include the time they spend on mobile devices and apps (State of the Media, 2012). Social media users should be aware of everything they do and post online. Inappropriate photos and videos, bad grammar, controversial personal opinions, and questionable friends can all be detrimental to your online reputation. In fact, graduates who post inappropriate photos online – such as those that depict drunken, illegal, or unprofessional behavior – are 84 percent less likely to land an interview ("U.S. College," 2012). 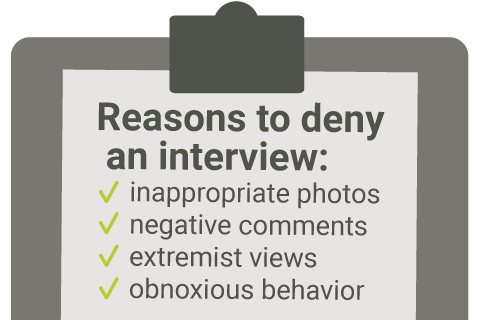 Posting negative comments about past jobs or bosses, extremist views on topics like race or politics, and "obnoxious behavior" such as pranks or profanity were among other reasons to almost always deny an interview ("U.S. College," 2012). In addition to being aware of their own content, social media users should also be aware of the nature of content that is being posted by their online contacts, friends and connections. Depending on privacy settings, friends who upload photos or mention someone else's name may allow that information to be public (Parmar, 2011). For example, imagine a friend takes a photo of Beth drinking at a party and uploads it to Facebook. If that friend doesn't make the photo private, a potential employer could navigate from Beth's Facebook page to her friends list, and then to that friend's photos. Even if Beth untags herself from the photo, it's likely that the employer will recognize her face. Therefore, social media users should be cautious about who they connect with and vigilant about what others post. Even though most social media sites offer users some form of privacy settings, the personal information stored on these sites isn't necessarily private. As many as 23 percent of job candidates report they were asked for their social networking information during an interview (Kasper, 2012). In June 2012, some Maryland employers and universities went as far as to ask applicants and students for their Facebook passwords ("Employers," 2012). Shortly after, Maryland enacted the "User Name and Password Privacy Protection Act" prohibiting such behavior (Poerio & Johnson, 2012) and other states followed. 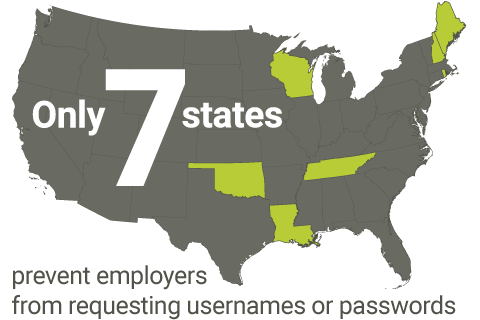 As of 2014, only 7 states have enacted legislation that prevents employers from requesting usernames or passwords ("Employer Access," n.d.). Overseas, the European Court of Justice passed legislation in May 2014 that grants the "right to be forgotten." According to the ruling, "Individuals have the right - under certain conditions - to ask search engines [like Google] to remove links with personal information about them" ("Judgment in Case," 2014). This ruling allows Europeans to sweep some personal online content under the rug; however, there is no similar law in the U.S. 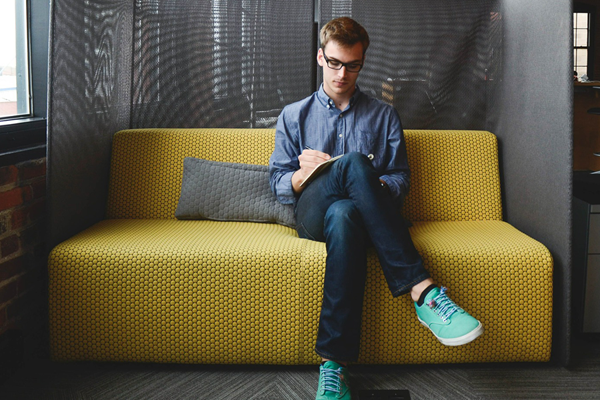 While an untamed online persona can certainly hinder the job hunt, social media can also be used in a variety of ways to help job seekers. 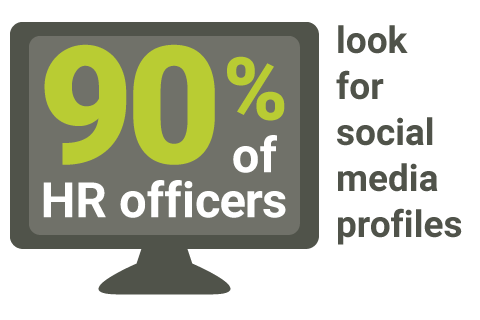 Candidates that use social media to engage with colleagues and show expertise in their profession are at a clear advantage. In fact, 29 percent of recruiters have offered jobs based on a positive online presence, including professionalism, creativity, and verification of skills or references (Smith, J., 2013). Additionally, association with a professional organization makes a candidate 80 percent more likely to land an interview (Kasper, 2012). 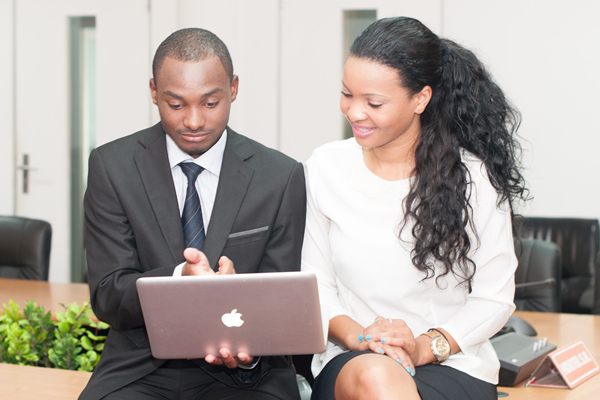 Along with using social media to build a professional image, many networking sites are being used as online job boards. 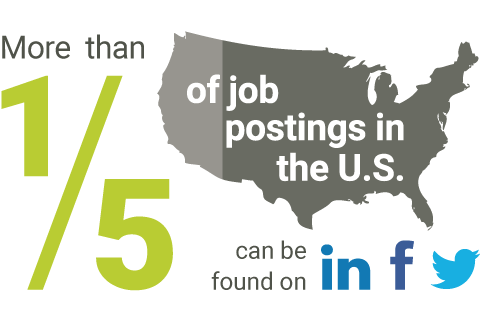 More than one-fifth of job postings in the United States can be found on LinkedIn, Facebook, and Twitter, the most popular being LinkedIn with 77 percent of jobs posted there ("Bullhorn Reach," 2012). Likewise, in 2012 LinkedIn was used by 38 percent of job seekers to find job opportunities and build connections (Kasper, 2012). As social media becomes more integrated into the job search and career professionalism, it is evermore vital for users to be aware of online presence. Online reputation management and self-marketing, like any type of marketing, begins by determining who you are, and what you have to offer. Whether you are a job seeker, an entrepreneur or a career professional seeking advancement, the exercises in this toolkit will help you define your personal brand, set goals, choose social platforms, clean your existing presence and build a positive online persona. Enter your answers into the text boxes throughout the toolkit, using the examples as your guide. When you're finished, download your answers for future reference using the save buttons. Examples relate to a beginner food blogger. Section 1 Who are you? Before you begin setting goals to reach through your online presence, it is important to determine your brand identity. In general, when people think about branding, they first imagine logos, colors, typefaces, etc. But these visual elements – like all aspects of a brand – should reflect an important set of values known as brand identity (Holland, 2006, p. 5). Your identity is a feeling someone gets when they interact with you or your products (Deckers & Lacy, 2013, p. 7). No matter what stage of personal branding you find yourself in, the steps below will help keep your brand identity focused. If you are just beginning, this exercise will help you develop and create your personal brand identity. ► VIDEO: Simon Middleton, author of Brand New You, explains what a brand is and how it relates to a logo. Record your answers to the following questions before proceeding to the next step. What products or services do you have to offer? Who is your competition? Include a broad description and specific examples. What emotion do you want to evoke when people see or interact with your brand? Questions adapted from Branding Yourself by E. Deckers and K. Lacy, 2013, p. 216. In this step, you'll determine what qualities and skills you want people to relate to your name. During this exercise, it's important to list all the words or phrases that come to mind. If you're writing your answers, divide a sheet of paper into three columns and label them appropriately. List feelings or personality traits related to yourself and your product. How would you describe your personality? How would others describe you or your product? What feelings do you want others to have about you or your product? 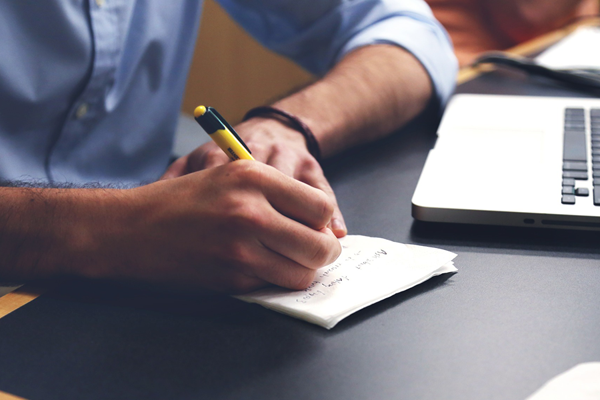 List terms that outline the services you provide and things you do. These can be things you haven't done yet, but plan to do in the future. If there are any services that you offer that your competition does not, be sure to include them. List terms that describe how you do the skills and functions you outlined in the previous column. Do you create a certain type of art? Do you perform within a certain industry? Are you targeting a specific audience? For each column, determine one word or phrase that best represents everything in that column, and copy them below. These are the words that best describe your brand identity and your brand values. For example, the food blogger may determine from this exercise that she provides easy-to-use cooking skills in a fun and inviting way. Everything else you do should evoke those values - everything from logo, color and typeface; to blog entries, photos, tweets, and videos; to the way your conduct your day-to-day business offline (Marrs, 2012). Exercise adapted from "The First Step To Building Your Personal Brand," by M. Marrs, 2012, Forbes. How would you describe your overall profession, as related to your brand? What do you do on a day-to-day basis related to your profession? Are there any other talents or qualifications that you think a potential employer, customer or client should know? Combine these four answers into one paragraph-style biography. Questions adapted from Branding Yourself by E. Deckers and K. Lacy, 2013, pp. 24-26. The brand story you've just written will come in handy when branding your online profiles in Section 5. Now that you have a better idea of the values you want clients or employers to associate with your brand, move on to Section 2 to set goals and objectives for your online presence. Section 2 What do you want to achieve? Now that you've solidified your values, it is important to outline your objectives and goals before you begin eliminating or building content online. Having a defined strategy for your online presence keeps your efforts focused and purposeful ("Guide to Creating," 2014). The terms objective and goal are often confused. An objective is an overarching, long-term result, such as finding a job, attracting freelance clients or establishing yourself as a leader in your industry ("Objective," n.d.). It is usually difficult to measure the progress of an objective until you have reached it. A goal, however, is a measurable, short-term step you take to reach your end objectives, such as landing an interview, making connections or creating online content ("Goal," n.d.). This step uses a standard and often-used method of setting goals based on the S.M.A.R.T. acronym. According to this method, goals should be specific, measurable, attainable, relevant, and time-bound ("Locke's Goal-Setting," n.d.). Use the exercises below to outline your objectives and goals. What do you hope to achieve through your online presence? Write down your overall objectives. Remember, objectives are long-term results that are reached by more specific goals. Now, outline at least three short-term goals that will help you measure your progress toward reaching your objectives. For each goal you named, be sure you can answer following criteria. 2. Choose a timeframe and measurable frequency for each goal. How often and how many times should you complete each action? If the actions are not ongoing, be sure to include an end date. 3. Review the actions, timeframes, and frequencies. Are these goals attainable? Determine whether your choices are realistic, and don't set yourself up for failure. Revise if necessary before moving on to Section 3. Exercise adapted from "Locke's Goal-Setting Theory," 2014, Mind Tools. Section 3 What social media are best for you? With objectives and goals in place, you probably have a better idea of what you want to achieve and the type of content you'd like to produce. With that information in mind, it's important to determine your ideal audience. Knowing whom you want to reach will help you decide which social media or online platforms to use. Target market identification is the act of determining the audience for your product or service using factors like demographics – age, gender and occupation – as well as income and broader characteristics, such as lifestyle or interests ("Target Market," n.d.). Refer back to Step 1 and Step 2, where you outlined what services, products and skills you have to offer. Think about whom you want to use or purchase your services or products. Then, answer the following questions. Are they primarily one gender? If so, indicate a ratio. Are they married or single? Do they have children? What are their interests and what things to they value? What is the desired income level or disposable income of your audience? Do they work in a certain industry or have a specific occupation? List them. List any lifestyle choices or identifying characteristics that may be important. What age is your ideal audience? You can identify a specific age, age range or even generation (such as Boomers, Gen X, Gen Y, Gen Z, etc.). Is their physical location important? Indicate if they live in a certain country, state, city or even a community like a suburb, city or rural area. Can you imagine one individual that exemplifies your target audience? If you can, describe the person in detail. 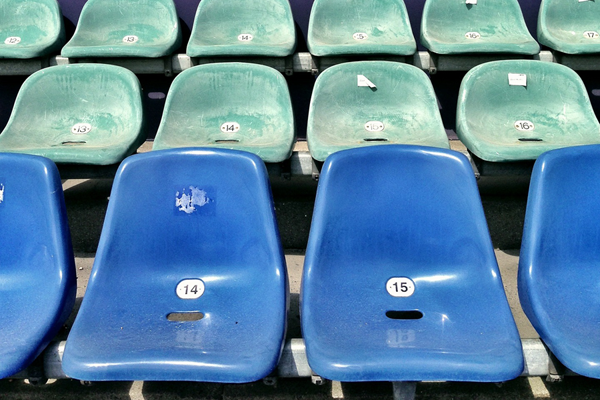 Your audience may be too diverse to do so. Questions adapted from "The Ultimate Beginner's Guide To Finding Your Audience In Social Media," by A. Zeringue, 2014, Marketing Land. There are hundreds of social media tools that are capable of sharing or curating all types of content, and the most popular social media sites are not always the best fit. When deciding which social media to keep, eliminate, or build, consider the type of content you'll share and where your target audience is. The best platforms for you will be the ones that meet both criteria (Levy, 2013). Also consider any social media you are currently using, and how they are working for you. If you are successful, keep doing what you're doing, but if you aren't, you may not be targeting the correct audience. Research what your competition (outlined in Step 1) is using, and if they are successful. The eight U.S.-based social media sites below have the most monthly active users (Marcelo, 2013). Examine the chart, which outlines the audience statistics for each site. Based on your goals and target audience, determine whether one or more of these platforms is a good fit for your brand. Facebook, Instagram, LinkedIn, Pinterest and Twitter data derived from Social Media Update 2013 from Pew Research Center. Tumblr data derived from The Demographics of Social Media Users - 2012 from Pew Research Center. Google Plus and YouTube data derived from GWI Social - Q2 2014 from GlobalWebIndex. If you seek a niche target audience, you may find a platform not listed above that is a better fit. 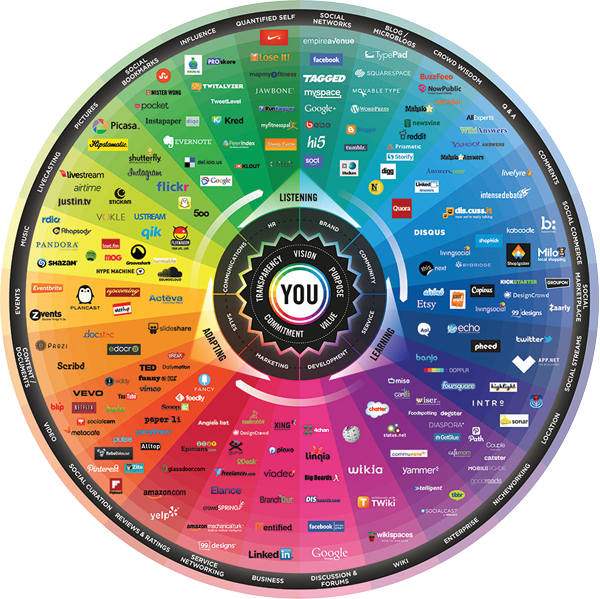 A useful tool for exploring a wider variety of social media is The Conversation Prism by Brian Solis and JESS3 (pictured). The most recent fourth version of the infographic groups 200 social media into 26 categories like pictures, video, music, events, business, social curation, crowd wisdom, influence, and more. List the social media platforms that you think would help your brand reach your target audience. Do your selections align with the goals you set in Step 4? If not, reevaluate before continuing. If someone searched for you online, what would they find? If you aren't sure, begin by managing your existing accounts, restricting access to your personal information, and using search engines to see what others see when researching you. Knowing what information exists about you online and actively working to minimize negative results while maximizing positive results is known as online reputation management (Hulse, 2010). If you know you used to have an account on a website, but can't remember deleting it, it probably still exists. Try going through the password recovery options for that website. Chances are, you'll be able to regain access. Oftentimes, people use the same username or email address across multiple platforms (a good idea, which is discussed in Step 12). Use NameChk (http://namechk.com) or KnowEm Username Search (http://knowem.com) to search hundreds of platforms for usernames or email addresses you generally use. From here, you can narrow down which platforms you may have signed up for and attempt to regain access through password recovery options. Also use Pipl (http://pipl.com) to search for your name, username, or email address. This website offers more features like location-based search and social media account photos in search results. 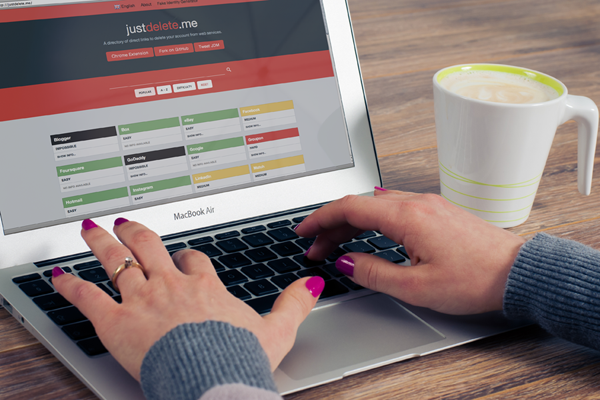 For an easy way to eliminate unwanted accounts, visit Just Delete Me (http://justdelete.me). The website is a listing of web services and social media platforms with direct links to delete your account, plus a difficulty rating. Because many services are focused on user retention, some accounts are labeled as impossible to delete; however, often there is an alternative such as deactivating the account or contacting the site administrator. If you delete an account, mark it as deleted on your list of social media accounts, created in Step 7. Once you've decided which accounts to keep, you can begin securing and cleaning them. First, check your privacy settings for each account and then thoroughly review your content. When building your personal brand on social media, it's important to distinguish between personal and professional accounts, and then adjust your privacy settings accordingly. Facebook personal profiles (which are different from business pages) should be used for sharing personal content with family and close friends. LinkedIn is a professional networking site, so your profile should show your personality, but should be limited to professional content only (Deckers & Lacy, 2013, pp. 92, 123). Most social media sites allow you, the user, to control your privacy settings, which determine how your information is shared with others. Refer to the list of your online real estate that you created in Step 7, and designate each as either professional or personal. Take the time to evaluate what information is appropriate professionally or personally, and change your settings accordingly on each account. ► VIDEO: YouTube Comedian Jack Vale's "social media experiment" presents one example of why users should be aware of their privacy settings online and how easy it can be for others to find users' information. Although privacy settings can help protect your information and content in common circumstances, it's important to realize that nothing online has guaranteed security. Once you upload content, it becomes vulnerable to leaks, hacks or third-party access ("Internet Social," 2012). For example, in 2011 nearly 100,000 third-party applications were accidentally granted access to Facebook users' information, including photos (Doshi, 2011). Users can also approve access without realizing they have done so. Therefore, it's important to read the fine print when giving access to third-party applications, and revoke access to applications you no longer use. In another example, many former MySpace users' profile photos still appear in Google search results. "Deleted content will still show in Google search because Google caches search results," according to the MySpace Help Center. Additionally, many social media users create accounts and accept the terms of service without reading through them. These terms become a legal agreement between the website administrator and the user and often grant administrators the right to use your photos and information under certain – or sometimes any – circumstances (Smith, O., 2013). Once you've limited which information you share with others, you should review all of the content on your social media accounts and remove anything that could harm your online reputation. If you have accounts on multiple platforms, you may want to begin by cleaning the profiles that are the most publicly visible first, such as LinkedIn. To clean each account, you should examine all of your content post-by-post, comment-by-comment, and photo-by-photo, and then remove anything that is unprofessional or unflattering. Reviewing years of social media posts can be extremely time-intensive; however, there are some tools you can use. When logged into Facebook, a handy tool called the Facebook Activity Log allows you to review all of the content associated with your profile in one place, including everything from posts by you, posts by others, and hidden posts; to likes, notes, friends, groups, and even search queries. Because Facebook changes regularly, you can read more about where to find the Facebook Activity Log here, in the Facebook help section. ► VIDEO: Facebook provides a quick walkthrough of the Activity Log tool. There are also a few third-party applications that can search a limited number of social media platforms for keywords, such as profanity or words that could be controversial. Because the tools can't recognize context, some words used appropriately may be flagged while other inappropriate comments may not be flagged at all. Rep'nUp (www.repnup.com) will search Facebook, Twitter and Instagram profiles for "inappropriate and questionable content, sexually explicit content and content containing alcoholic beverages," according to its website. This tool scans posts and comments for free, but charges $9.95 to scan images and provide links to the flagged posts. SimpleWash (www.simplewa.sh), formerly called FaceWash, is a free service for Facebook and Twitter. In addition to the default keyword search, users may also enter their own keywords. Socially Clean (http://sociallyclean.com) is available only for Facebook. This free tool scans posts, comments and liked Pages. Each service compiles a list of flagged content, and then the user decides whether to delete the item, change the item's privacy settings, or leave the item as-is. SimpleWash and Socially Clean can only review text, so you'll still need to review photos and videos manually if you choose these tools, or if you don't want to pay for Rep'nUp's image scan. The checklist below outlines the types of content that could harm your online reputation. Use the list as you review your social media profiles, and delete harmful content when you find it. Information that you post about yourself isn't likely to be the only information about you that exists on the Internet. Maybe a friend has uploaded a photo of you. Or perhaps your name has been included in an article. If you're a blogger, there's an even greater chance that your name will appear elsewhere on the Internet. If you haven't already, now is the time to Google yourself. When you conduct a Google search, the results you see may be different from the search results of others. 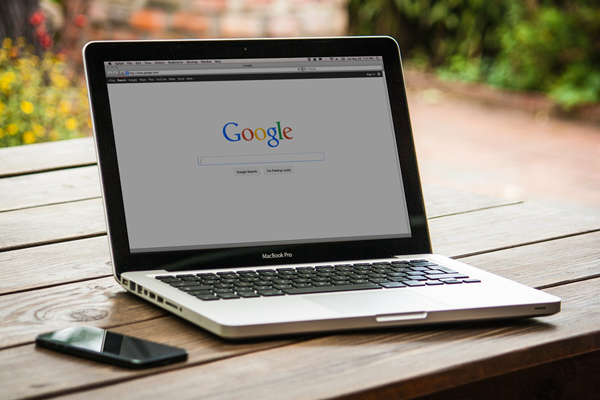 A featured called Google Personalized Search skews your results based on your location, your previous searches and information posted by your connections in your Google Plus circles (Singhal, 2011). For example, if Beth lives in Indiana and searches for Italian restaurants, Google Personalized Search will return a list of Italian restaurants near her location. Someone who lives in California would see a different list of Italian restaurants. Outside the United States, different search domains for each country further skew results. For example, try conducting a search for "Facebook" on Google.com, then on Google.fr (Google France). This means a potential employer or customer may see different results than you do when conducting a search for your name. To ensure you find as much content about yourself as possible, try conducting a regular search first, and then turning off Google Personalized Search and searching again. One way to turn off personalization is to follow the instructions in the Google help section, here. 1. The URL begins with a Google domain for a country outside your own to remove bias based on your physical location at the time of the search. In this case, assuming you're in the U.S., the Google Canada domain is used. 2. Adding /search?q=* runs the search query and marks a place for your search term. 3. At this point, the URL is programmed to search only for content that is relevant in Canada. Because this likely doesn't include your personal brand, &gl=us is added to tell Google to return results relevant in the U.S.
4. Finally, adding &pws=0 removes additional personalization that may be stored in your browsing history or tied to logged-in accounts. Conduct multiple searches based on terms that others may use when looking for you. Try your first and last name or your middle name if it's commonly used. Also try pairing your name with your city, company name or title. Set up Google Alerts (www.google.com/alerts) to automatically monitor your searches. Each time a new result appears for the designated search terms, Google will send you an email. Another similar service is Talkwalker Alerts (www.talkwalker.com/alerts). If you discover content about yourself that you'd rather not be posted online, ask the source to remove it. This can be a lengthy and fruitless process. Although friends are likely to remove photos they've uploaded of you without objection, it may be more difficult to convince companies to remove your personally-identifiable information (Richmond, 2011). Once you've cleaned up your existing online presence, you can begin building new content that aligns with your personal brand identity. Be consistent and accurate across all accounts and offline materials. Your printed resume should match your digital resume and your professional profiles, such as LinkedIn (Hulse, 2010). Optimize your existing accounts and build your new accounts using the guidelines below, keeping in mind the brand identity that you developed in Section 1 and the objectives you set in Section 2. Use the same version of your name across all accounts. As a general rule of thumb, use your first and last name. If your name is William, but you always go by Bill, then use your commonly known name. Conduct an un-personalized Google search (see Step 11) for your first and last name, and see if anyone else online uses the same name. If so, you may want to consider including your middle initial or full first name. Whatever you choose, be consistent (Deckers & Lacy, 2013, pp. 200-201). Also use the same username across all your professional accounts (but do not use your professional username on personal accounts), including social media accounts, email addresses, and maybe even website or blog URLs. Some suggested username formats are first and last name (janedoe), first initial and last name (jdoe), or your business name (mybusiness). If you want to be able to use the same username on Twitter or Pinterest, keep it limited to 15 characters or less. Using your name also makes it easier for others to find you (Ray, 2012). Use the same profile picture across all of your professional accounts. Your picture should be professional, representative of you, and recognizable. Many times, your connections will associate you with your profile picture. You may even want to pay someone to take your picture if you don't have professional headshots (Deckers & Lacy, 2013, p. 126). ► VIDEO: Get tips on what qualifies as a perfect profile picture in this video from Business Insider. When sharing photos or uploading cover or profile pictures, be sure to use the recommended image dimensions that the site provides. This will keep your photos from being stretched or poorly cropped (Devaney, 2014). 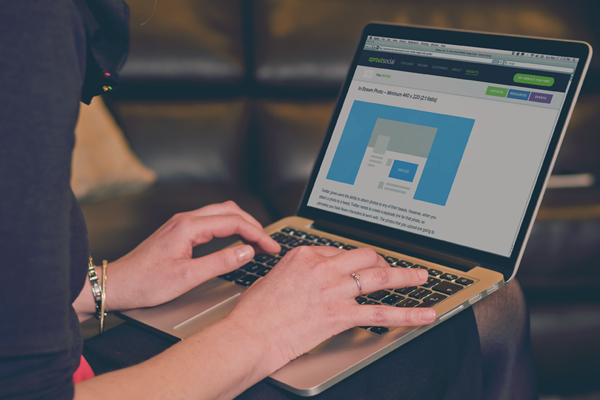 Fill out all sections of each of your online profiles entirely and consistently. Use your personal brand story from Step 3 in biography and about sections. Be sure to include relevant keywords as related to your brand identity. This will provide all the information needed by potential employers or customers and ensure that your accounts show up in search results (Peters, 2012). Find out if your employer has a policy about online conduct or the use of social media, and be sure not to violate it. Some policies may restrict the use of work email addresses or employer names (Hulse, 2010). When networking and meeting others online, focus on gaining trust by helping others rather than seeking help. Sharing your expertise, connections and influence can help build rapport, increasing the likelihood that connections will recommend or help you in the future (Deckers & Lacy, 2013, p. 265). Refer back to the short-term goals you set in Step 4. Create an editorial calendar, marking the beginning, frequency, and end dates (unless it's ongoing) of each goal. Use this calendar to keep yourself on track for reaching your goals and objectives (Guide to Creating, 2014). Because social media is organic and changes frequently, it's important to make a commitment to continually optimizing and monitoring your online presence. Take the time to reevaluate your approach annually, or as often as you see fit. If you aren't happy with your results, keep working on your strategy until you find a sweet spot. Objectives, audiences and platforms may change, but your identity – for the most part – should remain the same. Section 1: Who are you? Section 2: What do you want to achieve? Section 3: What social media are best for you? Privacy: Your answers are recorded within the body of this page and are not stored. If you navigate away from this page without saving your answers, you will be unable to recover them. This guide was created by Heather Fullenkamp in pursuit of a Master of Arts from Ball State University.